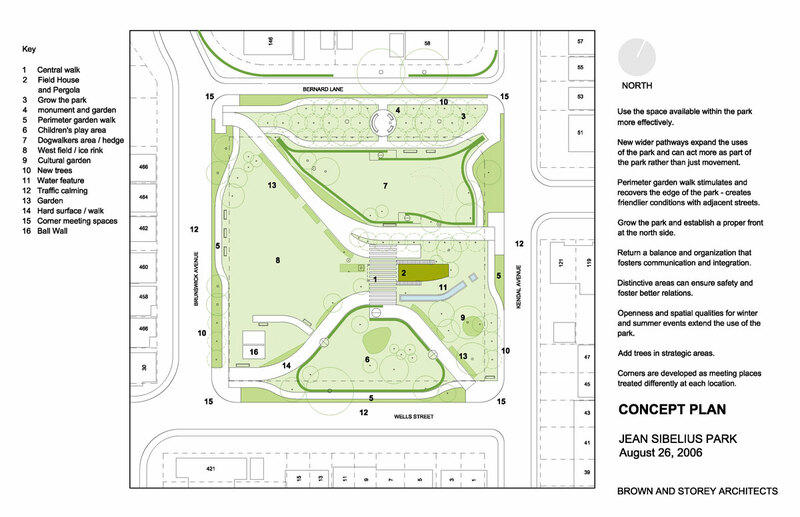 Jean Sibelius Park is a modest and compact park located in an older neighbourhood of Toronto. Over time, the recreational uses of the park and its current spatial allocations became a source of conflict among a greater diversity of users. 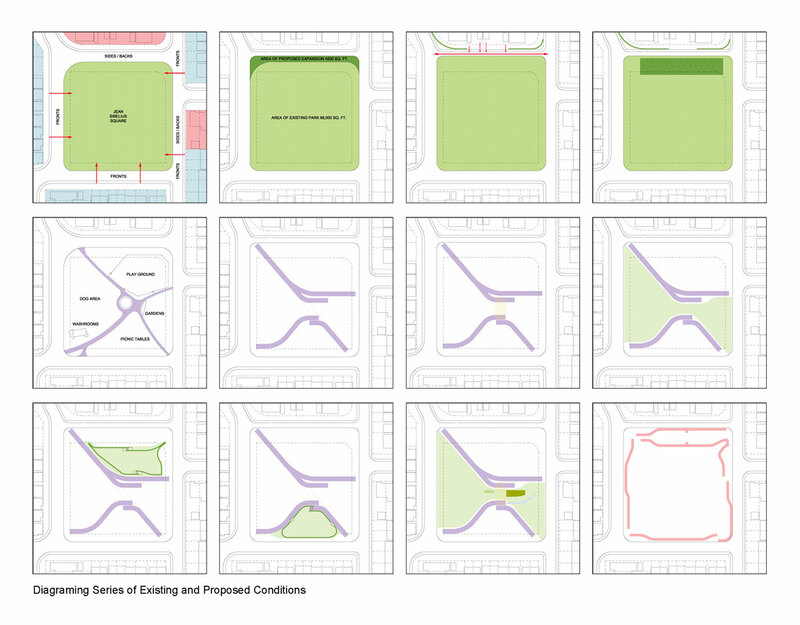 The inability of the 1950’s park design to accommodate an evolving array of functions – most notably the conflict between ‘dog-walkers’ and children’s playgrounds and their competition for space – is a typical issue in most urban parks in Toronto. 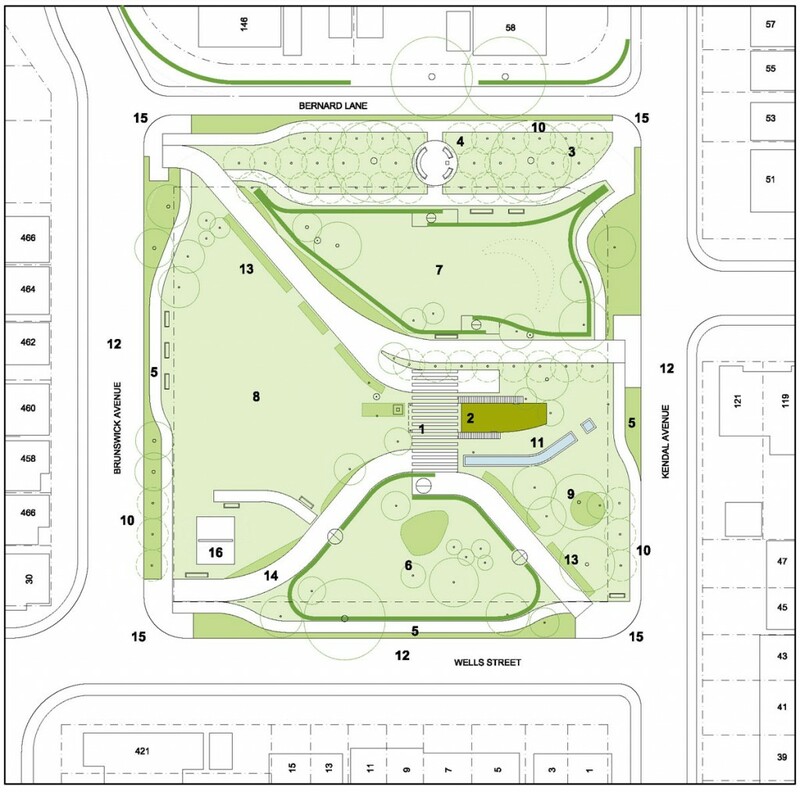 A series of analytical mappings and a charting of design issues and directions were produced to allow the community to view potential alternatives and to begin to self-organize the park in a way that could accommodate a range of needs. The community built on this work to successfully engage Toronto Parks and Recreation in a program of park renewal, including a new pavilion and central plaza, completed in 2012.